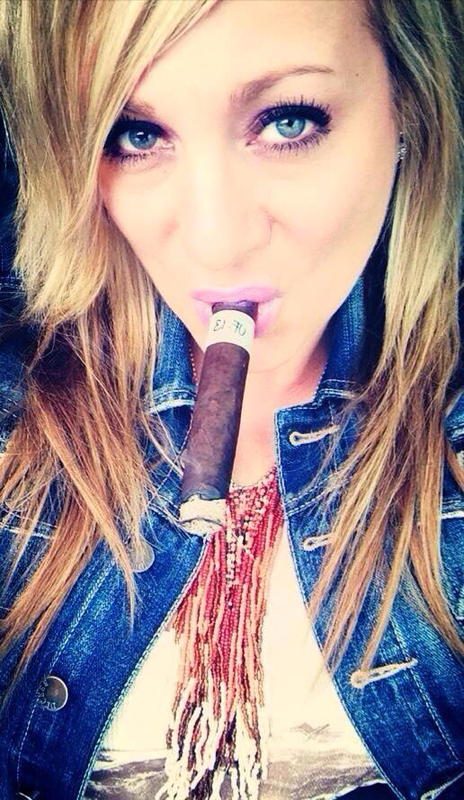 I meet Rebecca, beautiful and interesting cigar aficionada. Following the interview. I started smoking about 10 years ago, but if I knew then what I know now I would have probably started a lot sooner. My husband actually is the reason I started. Before I began smoking I would love just sitting next to him and watching him as he smoked, as the years went by I became more curious and eventually decided to indulge my curiosity. I was hooked from that moment, plus it was a great way to spend extra time with him. I started off as a weekend smoker, but now I try to squeeze in a smoke a day. Unfortunately, like everyone else, kids and life in general sometimes dictates otherwise. 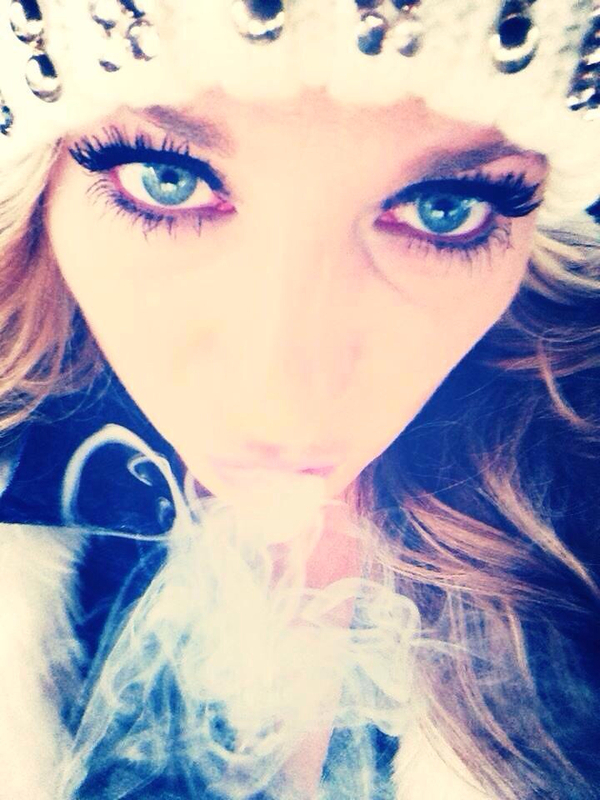 I’m a pretty simple girl and I normally smoke at parties, BBQ’s and in my car with my windows down and my music loud. But, I would have to say the best smoke I have ever had was on a family vacation down in Galveston TX. I was on the beach with my toes dug in the sand and I just sat there and enjoyed my family as they laughed and screamed while playing in the water. Nothing compares to being with the people you love, add a good cigar to mixture and it becomes heaven. I pretty much always use a a guillotine cutter, I have used a punch on occasion. With 5 kids and a grandbaby my life tends to be very hectic and busy. So when I smoke I become very relaxed. I love everything about the whole experience, from the sound of the draw and the heat on my lips to the dancing smoke when I exhale. 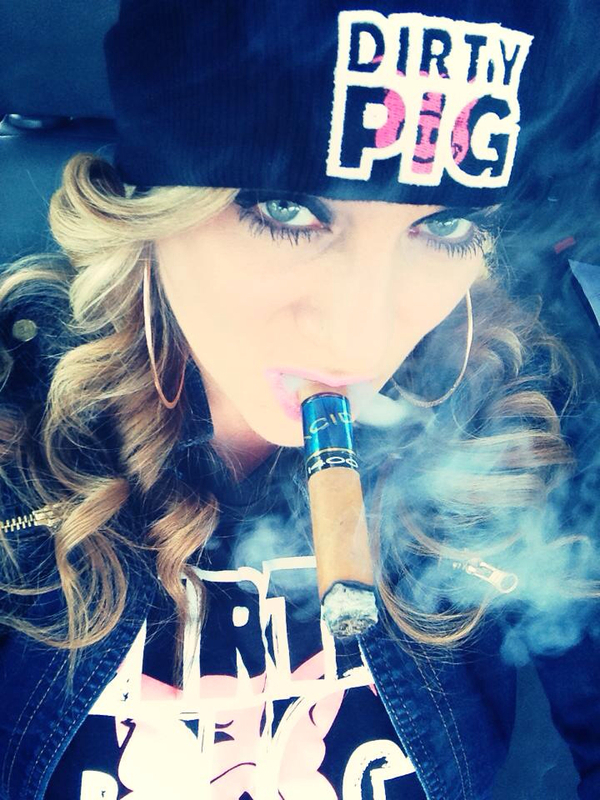 Cigars are very sensual because they are pleasing to all the senses. Unless it’s a day off, I tend to light up in the evenings after everything has calmed down for the day then I’m able to sit back and really enjoy my smoke. I enjoy trying new cigars, but I will be the first to admit I’m a creature of routine and habit, so I don’t sample as many new ones as I should. My go to stick is and probably always will be the Acid Kuba Kuba. It taste delicious and smells like a well dressed man. Thank you very much Rebecca to share your experiences with us. Your husband is a lucky man. Good ashes. 4 Responses to "“Rebecca Chambers – Mcdonald„"
Awesome interview…Awesome Lady…Pure Awesomeness!!! 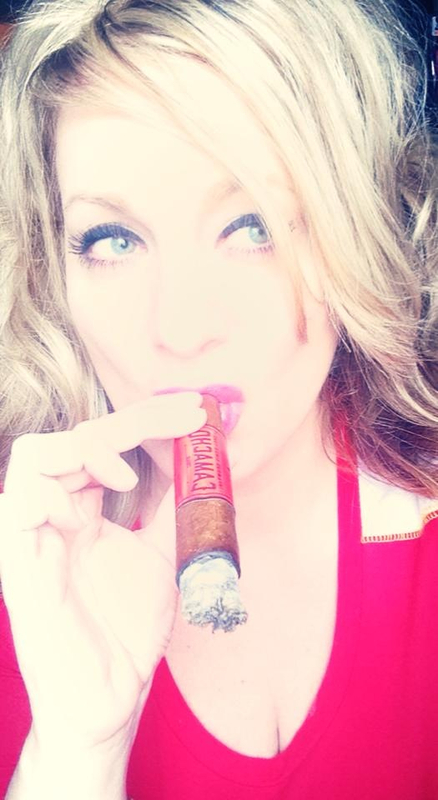 It’s the Simple Things in Life that so many take for Granted..ie a Great Smoke…Perfect Person to Share with…Yes….Husband is a Lucky Man…I’m Sure he Realizes that…no Doubt! I know Rebecca Chambers-McDonald and she is just as beautiful and genuine of a person on the inside as the outside! She is a great friend and I’m happy to see her enjoying life. A good Scottish name Rebecca !!!! !